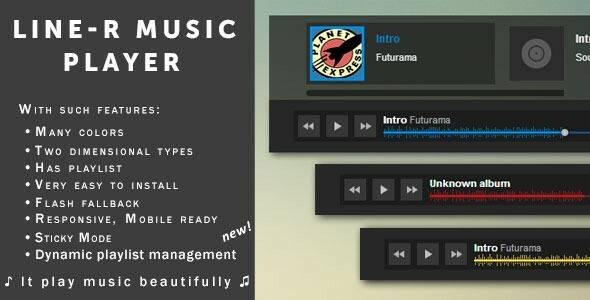 Sticky Music Player for music shops & sites — «Line-R» - CODELISTPRO | Free Premium Scripts, Plugins, Apps Source Code. Linear Music Player it’s a beautiful simple tiny player for bottom or top of your site. Find the best sizes and colors for yourself and embed it on the page right now. It works on tablets and personal computers, you can even embed it to my mobile html5 app. We have made it easy to use and install for anyone.